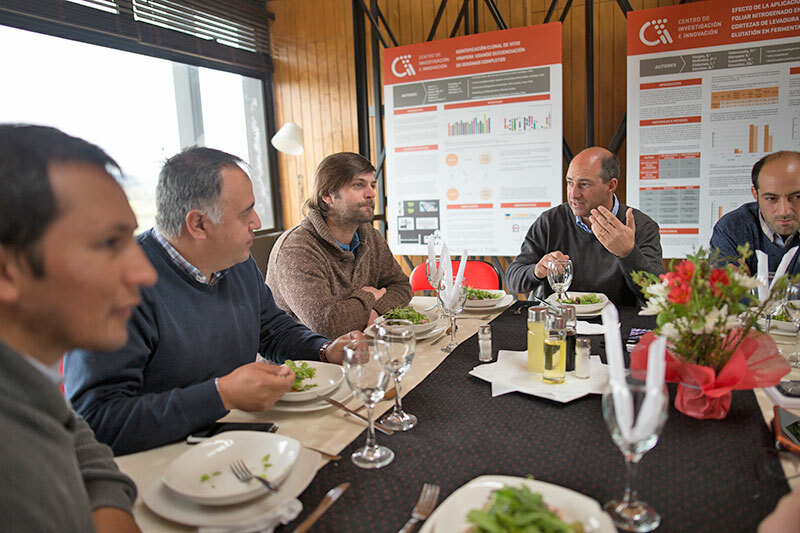 The Center for Research and Innovation (CRI) hosted the tasting with Maule producers and the closure with all the producers that participate of the Cometas Program. 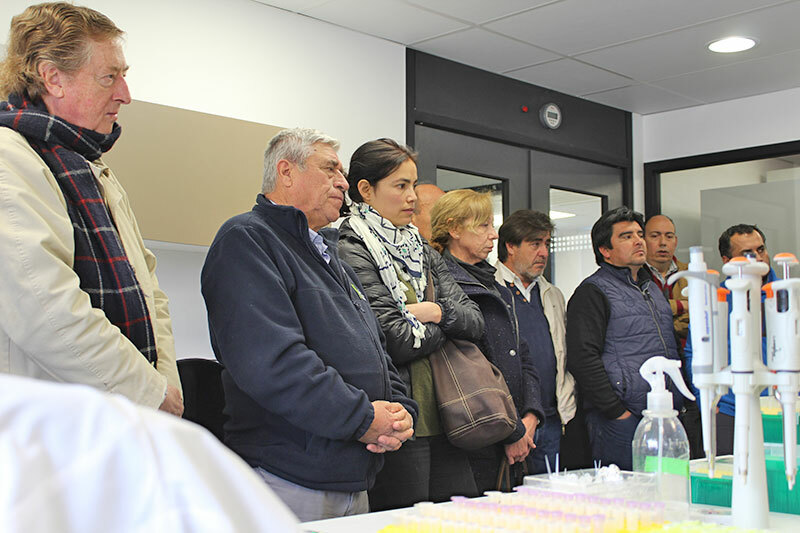 Located in the heart of the Maule Valley, VII Region, the Center for Research and Innovation was the perfect location to receive Premium grape producers who participate in the Programa Cometas promoted by the company. 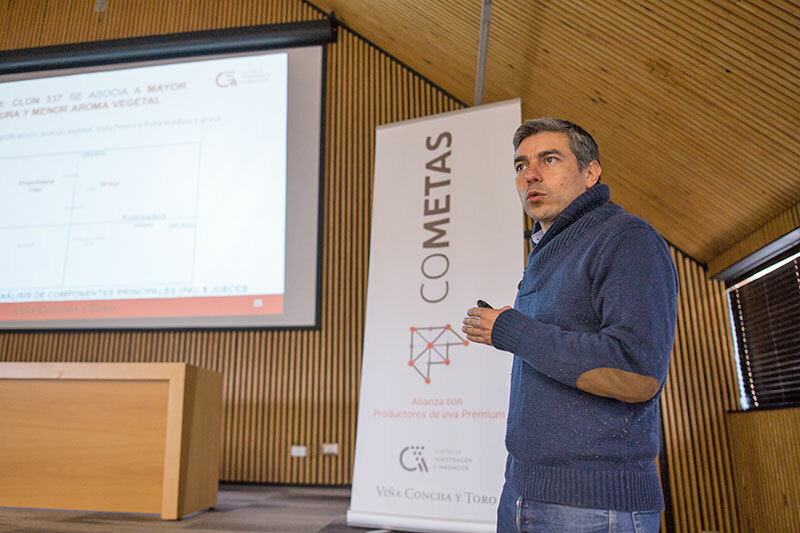 Programa Cometas seeks to establish alliances with Premium grape producers, building trustful relationships to achieve common goals, create shared value and generate positive impacts for the entire industry. 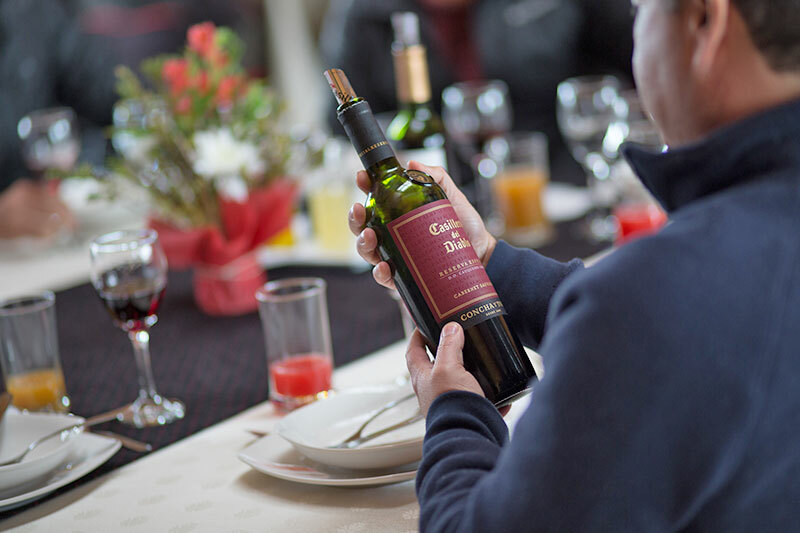 The producers of Maule were the first to arrive at the CRI for a tasting of the wines produced with the grapes harvested from their own vineyards. 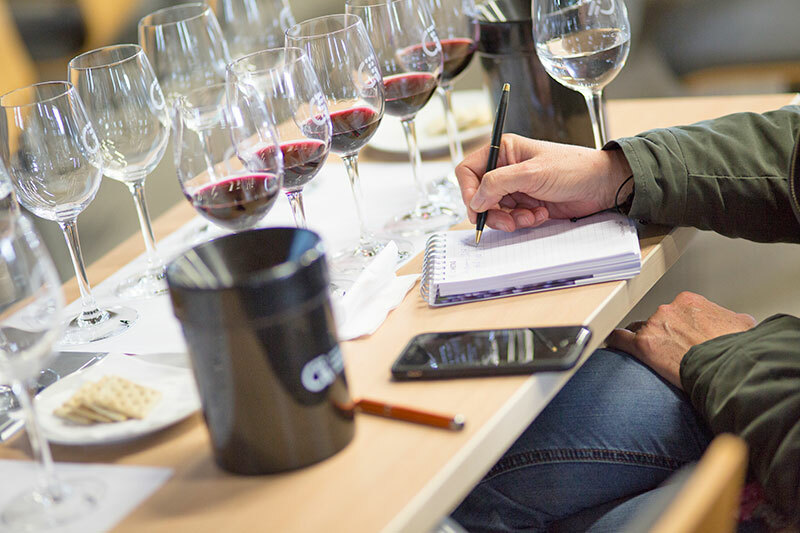 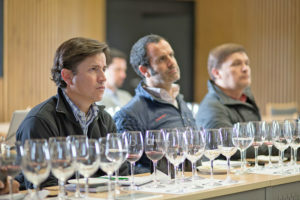 Héctor Urzúa, Chief Winemaker of Bodega Lourdes, led the activity, commenting, estate by estate, the characteristics of the harvested and vinified grapes. 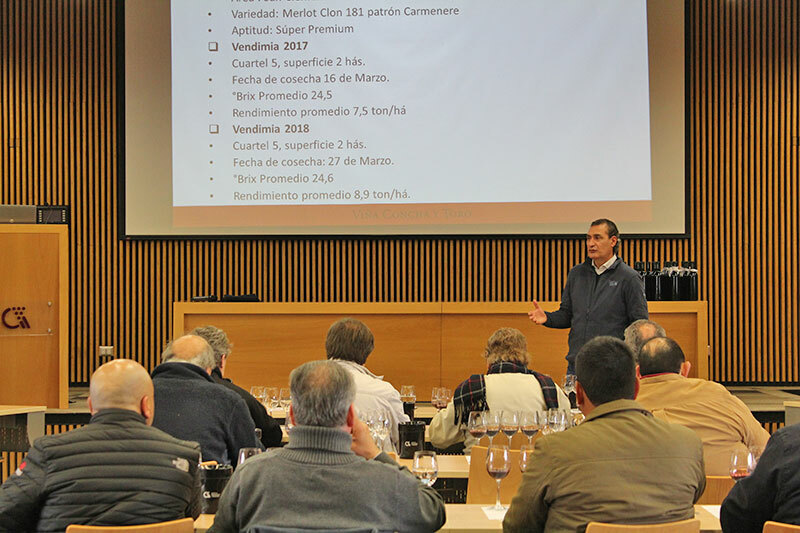 On the occasion, the producers were able to ask questions and talk openly with the Concha y Toro team, who spoke about the latest trends in the mix of wines and the strains that are receiving more attention. 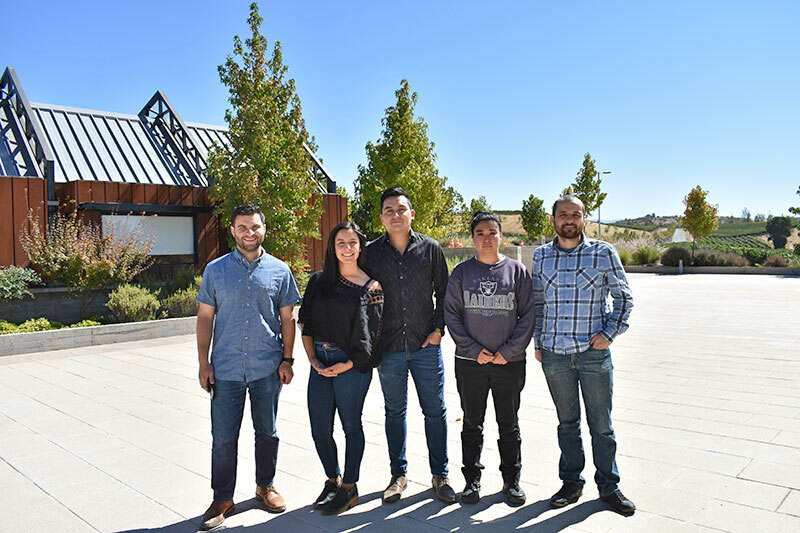 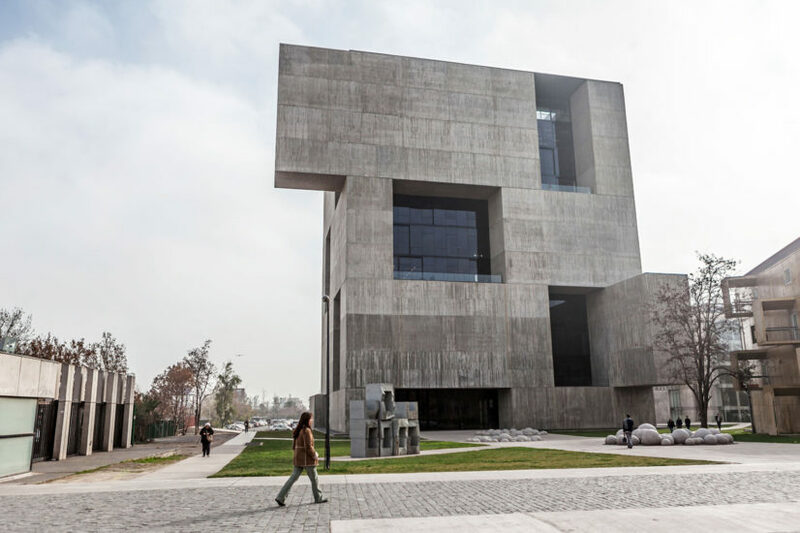 “It’s the third time I’ve been to the activities of this program and I think that Concha y Toro has made a lot of effort to build this center, which gives us valuable knowledge. 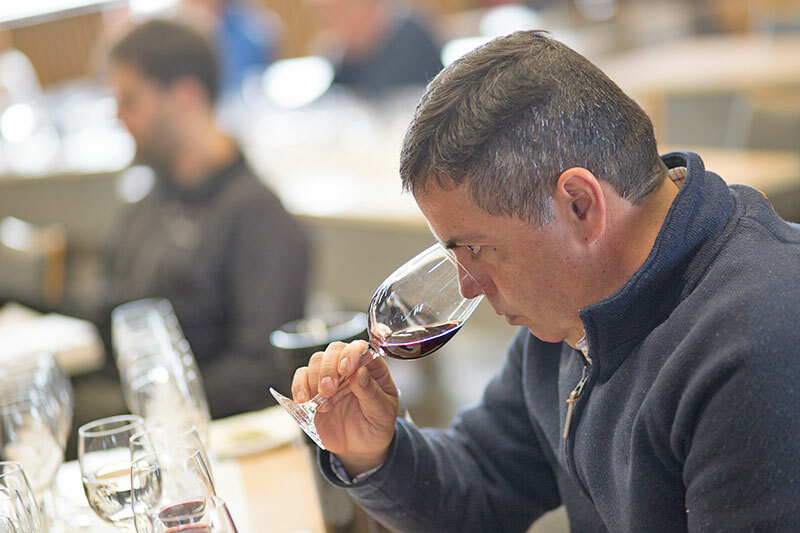 We have put that into practice and we have felt accompanied by the winery during all this time”, said Hugo Valdés, representative of Inversiones RH, which has vineyards in the region. 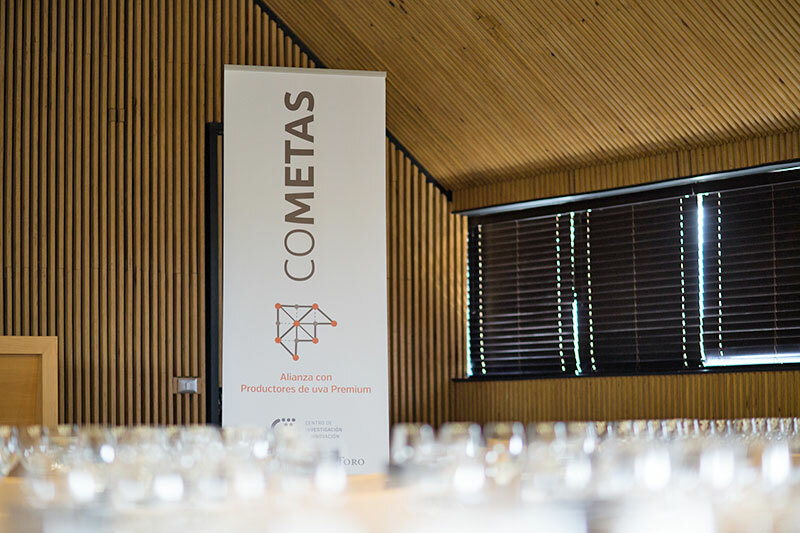 The CRI also served as the venue for the closure of Cometas activities, where all Premium producers were invited, nationwide. 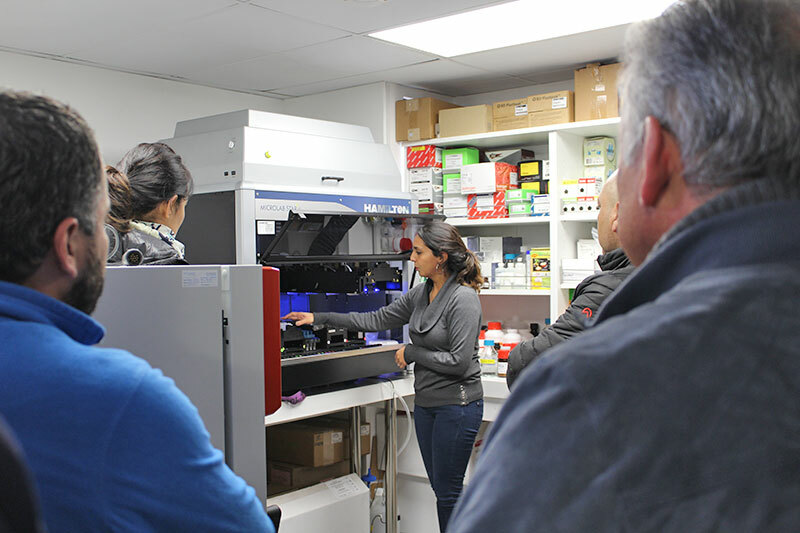 There, experts from the CRI and from different areas of the company shared their knowledge and listened to the experiences of their producing peers. 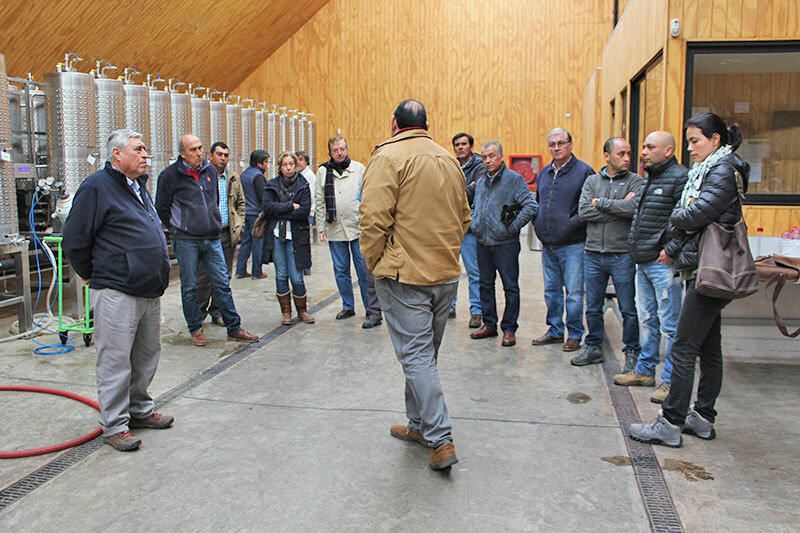 Topics such as irrigation techniques, vineyard productivity and social responsibility practices were presented to the attendees, who were invited to continue participating in these collaborative instances.